“You may fail, you may cry, you may break, but you will learn, and you will grow, and you will come out of these four years as a victor, ready to show the world what you know,” declared Vanessa Goh, a fourth-year environmental science student. As a freshman, Goh had found herself overwhelmed in the new college environment and faced a temporary depression. Incidentally, during her first year she lost fifteen pounds and was not happy with the person she was becoming. Many factors contributed to her depression, such as not being able to play sports due to her hectic coursework. Additionally, she found out that the people that surrounded her were very distinct from her, and she struggled to fit in and become a part of a group that accepted her. It was because of this incident that Goh realized that she had deep affection for the world and she made a promise to help others before herself. She explained that following this event, she became a better person overall, “After that, I realized that I did care about the world around me, leading me to environment science.” She also started exploring and learning more about the world that surrounded her. Aside from schoolwork, Goh’s personality blossomed with her four-year university experience. She described herself as a pretty laidback and sarcastic person. Due to her bubbly personality, she said, people occasionally found it hard to believe that she was majoring in the sciences. In her free time she enjoyed reading comic books, playing on the quidditch team for UCLA, and drawing. During her involvement with quidditch, her team placed 2nd at the World Cup in Kissimmee; this is yet another accomplishment which Goh was extremely proud of. One of the quotes which Goh lived by was, “As you go forward into your life, you will come upon a great chasm. Jump. It is not as wide as you think.” This quote was stated by the famous Zuni. Her four years as a Bruin had been both the best and worst years of her life, she expressed. “I could have just given up, but I worked through that. I jumped over the chasm. If it’s just a change in your mentality you can change what you think.” Following this creed with the support of her fellow Bruins, Goh said she became a stronger person, and learned to appreciate her surroundings and opportunities because of the experiences that she encountered during her four-year UCLA journey. Goh was very passionate about the environment, and had recently worked with Hermosa Beach and their “sustainability plan,” offering alternative solutions for them to become carbon neutral. 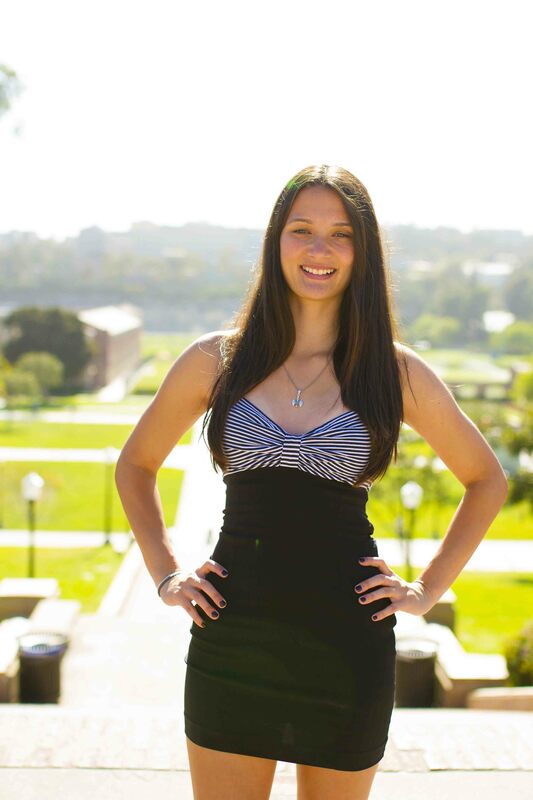 As a result, after graduation, she wished to work in the sustainability field around the greater Los Angeles area. After working in the field for a while, she planned to attend graduate school in order to study clean energy. At the end of her UCLA journey as a mature and capable graduating senior, Goh loved who she had become—a stronger and more independent women, ready to go out into the world and make a difference. Ready to be the difference.